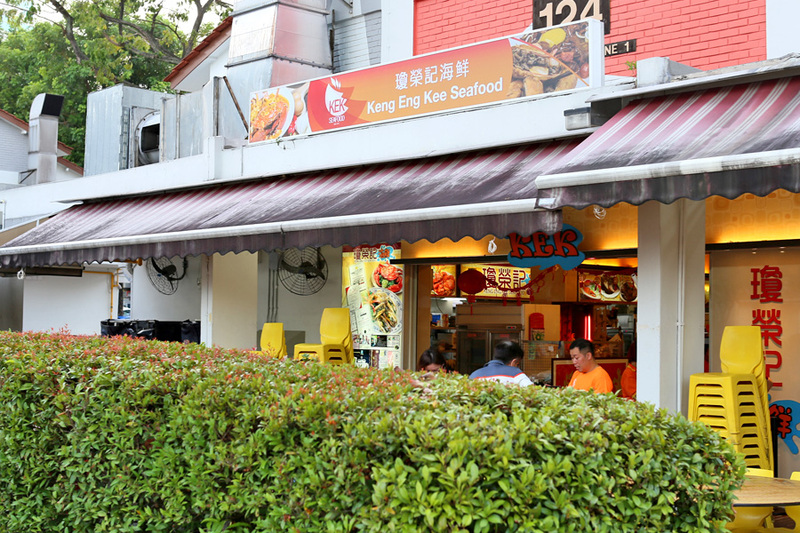 The realisation that I haven’t actually written about Keng Eng Kee Seafood 瓊榮記海鲜 after so many visits. 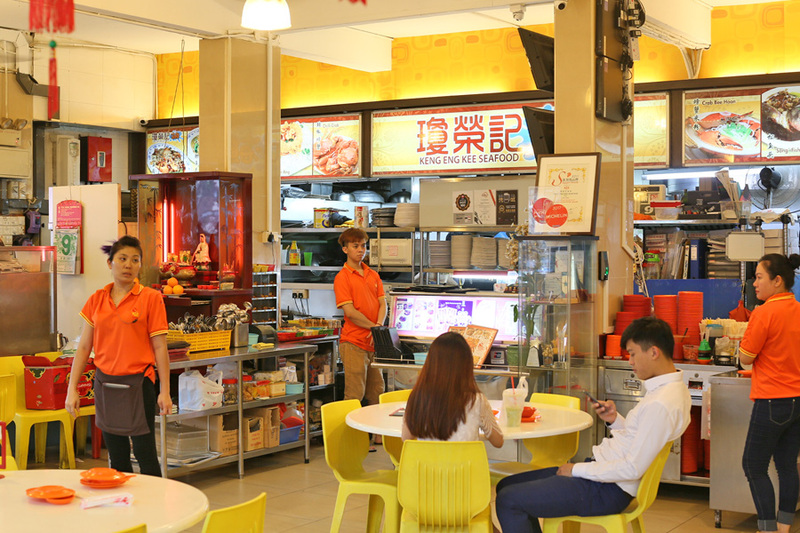 Keng Eng Kee located near Alexandra Village Food Centre, is one of those Zi Char places in Singapore that serves up tasty service AND with good service. No grumpy aunties spotted after quite a number of visits; prompt, in fact too prompt as my dishes arrived in minutes; and friendly. My friends and I had wondered why they were not included in the Michelin Bib Gourmand as we think they can be included in a spot up there. On the other hand (for our own selfish reasons), we like it to stay the way it is without being too commercialised. 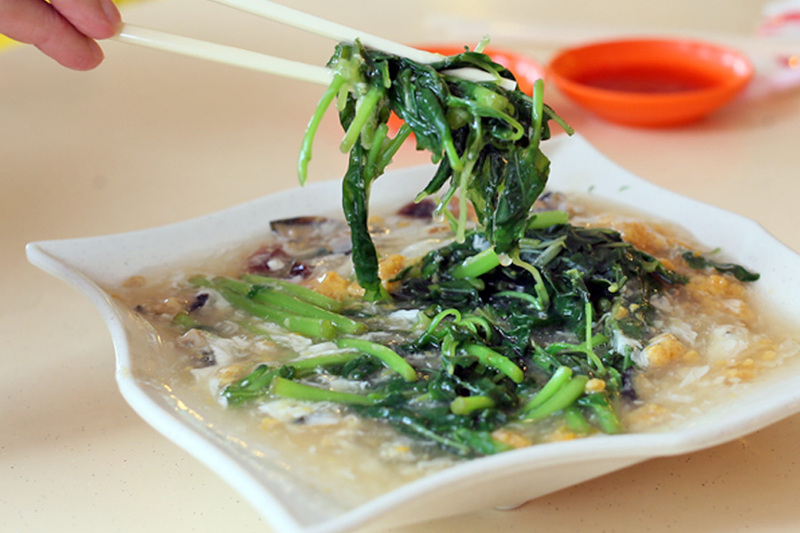 The originality of the dishes is quite mixed. 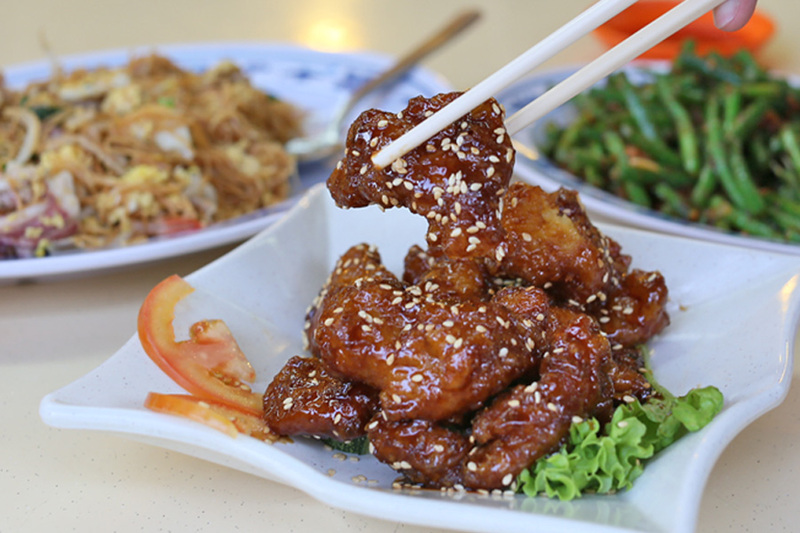 Founder Mr Liew is a Malaysian who learnt his craft from his Hainanese father-in-law, and serves mainly Cantonese styled dishes. 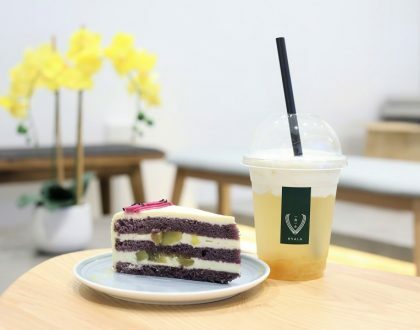 The business is currently helmed by 2rd generation owner Wayne Liew. 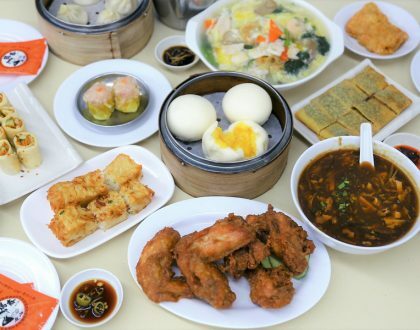 There are a number of dishes that regulars order. 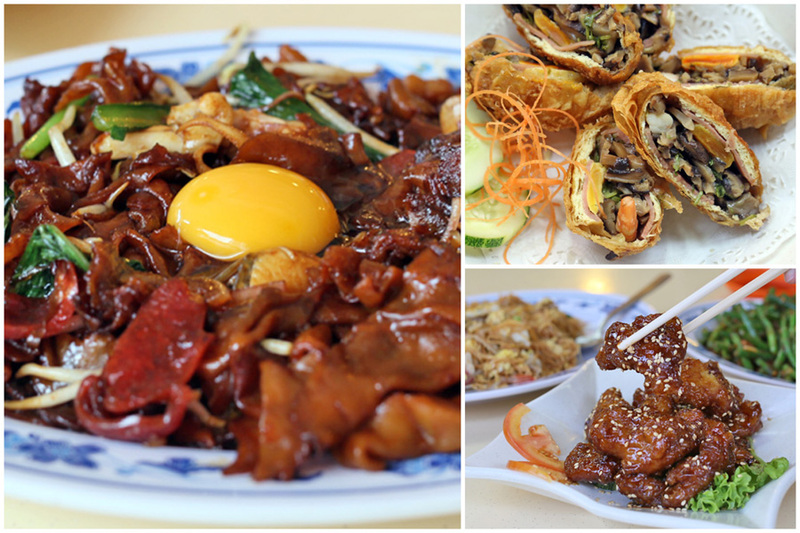 The most talked-about dish is the Moonlight Horfun ($6, $9, $16), along with Mingzhu Roll ($12 for 6 pieces), Prawn Roll ($8 for 8 pieces), Yam Basket ($20), Coffee Pork Ris ($15, $20, $28), Claypot Pig Liver ($15, $20), Marmite Chicken ($12, $18, $25) and Salted Egg Sotong ($18, $28, $38). 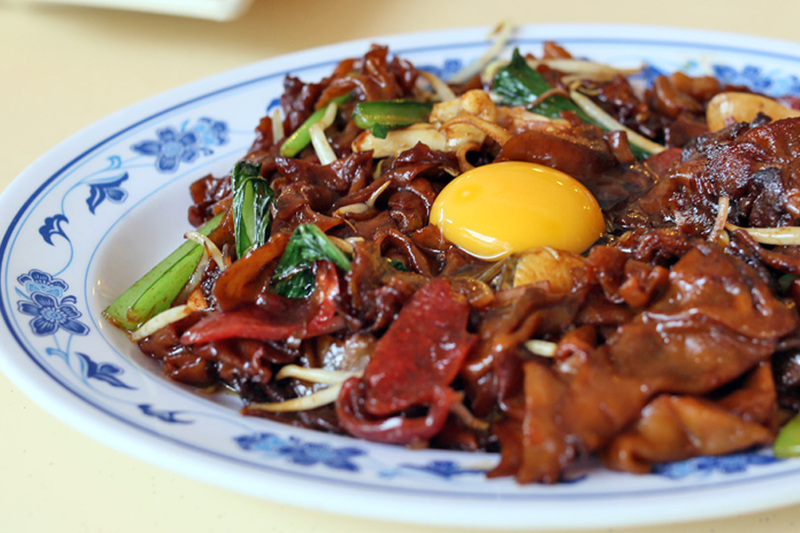 It reminds me of a cross between dark-sauced fried horfun (like beef rice noodles without the beef) and the local char kway teow especially with the addition of dried lup cheong (Chinese sausages). Perhaps I went too early in the evening when they just started out dinner operations, the entire dish lacked of wok-hei, as if it was merely fried for moments just before serving. 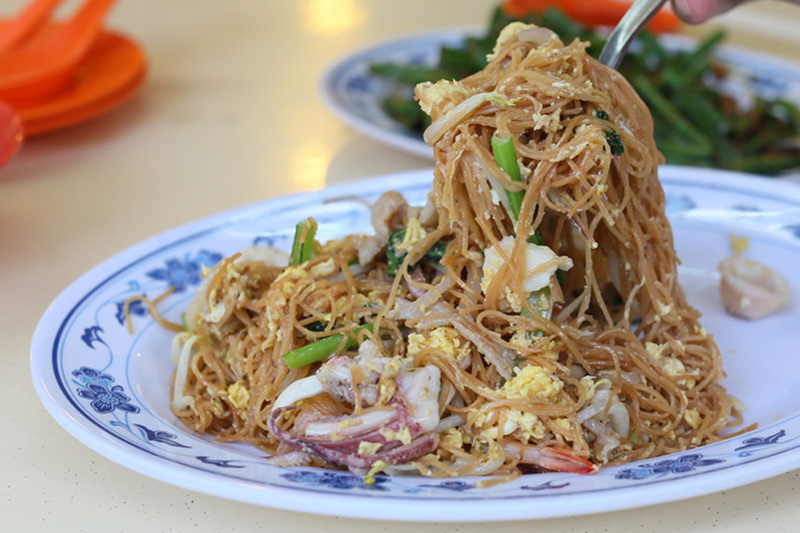 While the outer layer had steam coming out, the rice noodles beneath were closer to room-temperature warm. 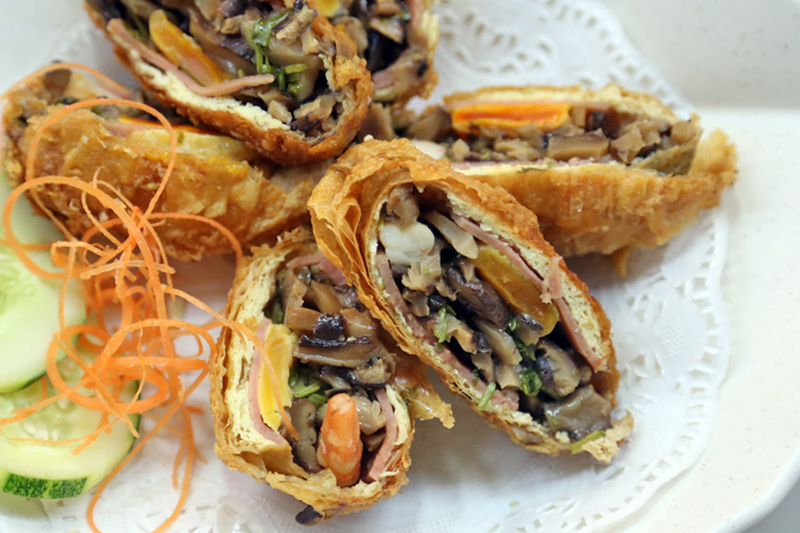 The Mingzhu Roll ($12 for 6 pieces) is a dish unique to Keng Eng Kee, that looked elaborate and creative for a zhi-char dish. 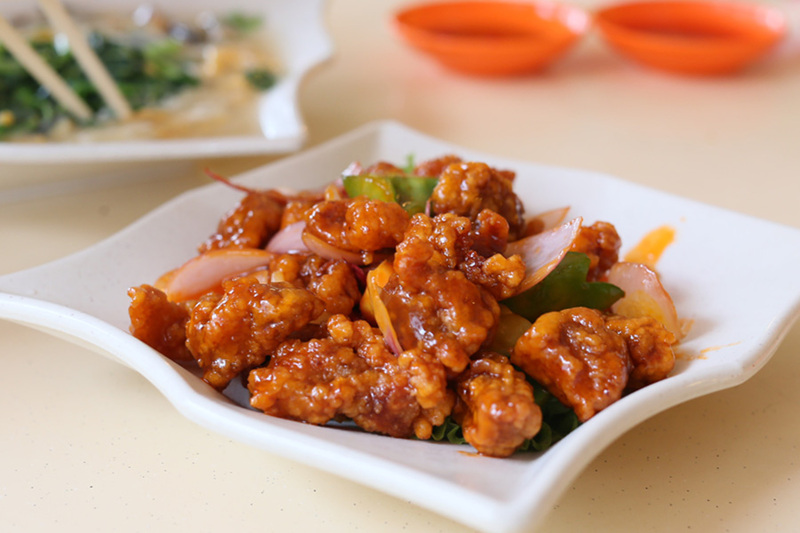 It is fried tau pork stuffed with a variety of ingredients – salted egg yolk, prawn, ham, mushrooms and parsley served with a sweet cream sauce. If you need a deep-fried dish, I typically find the Hae Zor (Prawn Roll) more satisfying. The dish to order again for me would be the Coffee Pork Ribs. You can already smell the smoky coffee fragrance from a distance away. 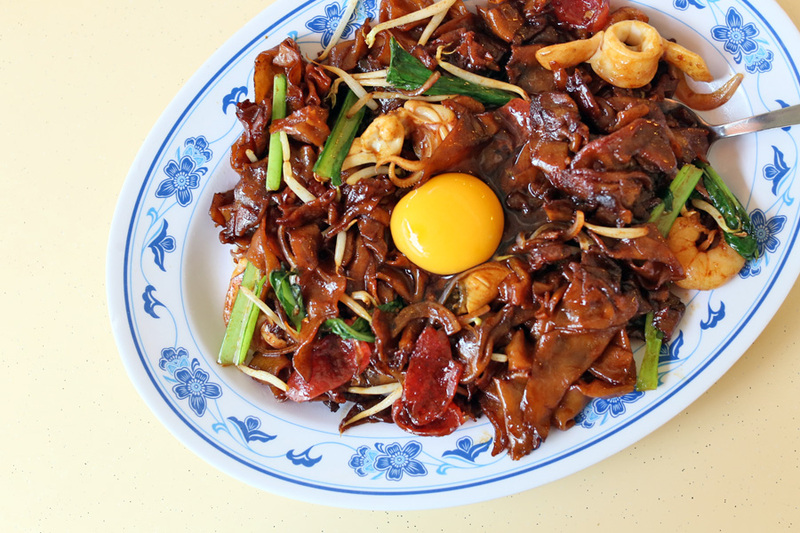 It had the right combination of everything – sweet slight-bitter coffee coating, crisp outer layer and surprisingly tender meat, and distinct mouth-watering aroma that remained unforgettable. 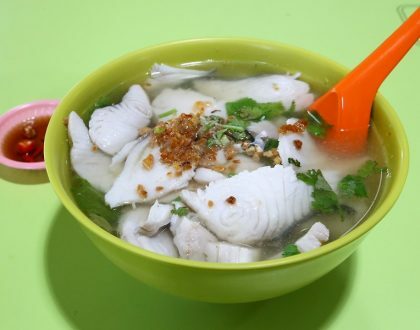 While some of the dishes may not be as amazing as before, I think Keng Eng Kee Seafood has generally maintained their standards. Sometimes it is about ordering the ‘right’ dishes as well.